SAP Analytics Cloud's machine learning technology augments the analytics process, helping you go from insight to action in a fraction of the time. This intelligent tool helps you avoid agenda-driven and biased decision making by revealing the story of what drives your business. 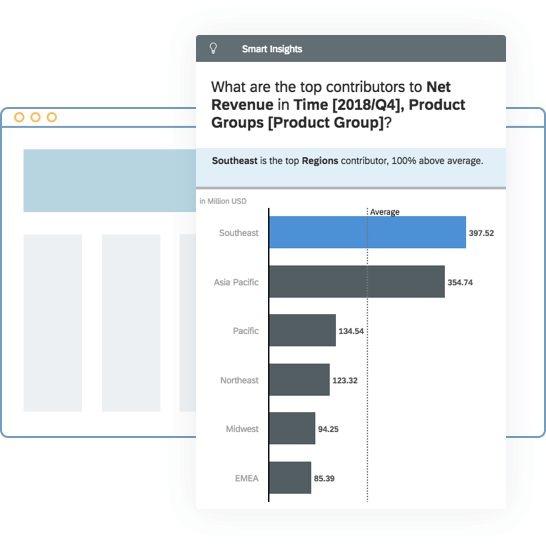 Curious to know about your profit by region or your gross sales by product and region? 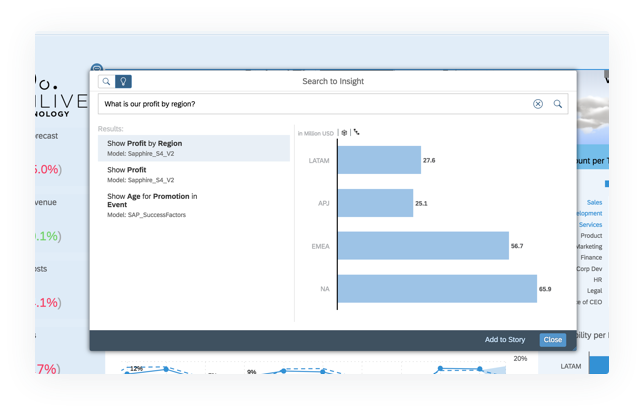 Type those exact keywords into the search tool and SAP Analytics Cloud will generate a graph based on your queries. It also helps you reveal the most important trends with the click of a button. SAP Analytics Cloud takes all the big data you have within your databases and gives you the exact information you want so you can focus on high-value activities instead of worrying about data accuracy. SAP Analytics Cloud automatically analyzes your data, reveals hidden patterns and complex relationships so you can identify key influencers that drive business-critical KPIs, detect any discrepancies and take corrective action before it even happens. 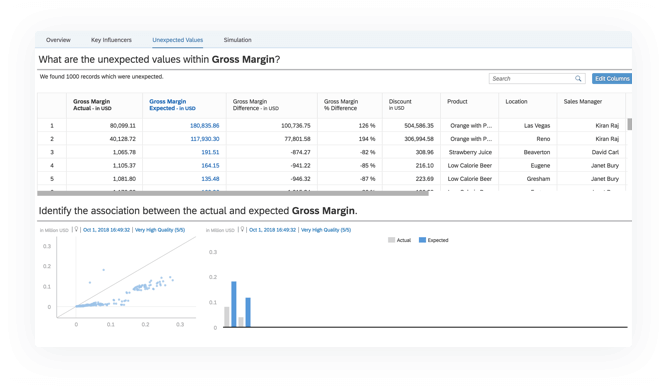 SAP Analytics Cloud lets you enhance visualizations and forecasts with future projections to detect if, and when, there is a risk of missing established targets. 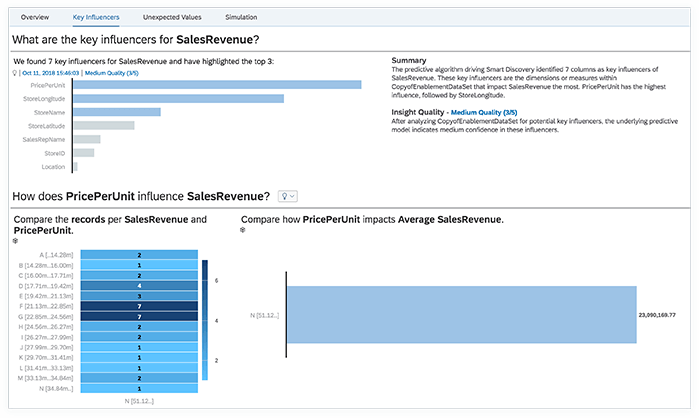 SAP Analytics Cloud learns all your historical data to create recommendations on the next best action to take for your business. 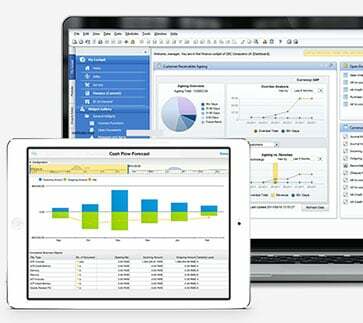 Sign up for a free 30-day trial of SAP Analytics Cloud today see how you can gain the best of both worlds. Also take advantage of our complimentary coaching session when you sign up for our trial.